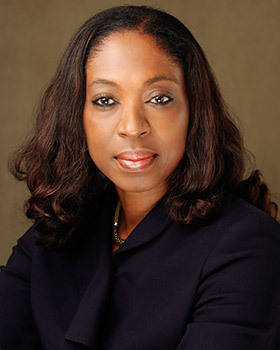 Julie Okoigun is a Director of ARCO Group Plc. She attended Ahmadu Bello University, Zaria, Nigeria where she obtained a B.A. degree in Sociology in 1984. She is a founding Director who has played an active role at the board level in general policy formulation, decision making and direction of the company. Her brief but eventful work experience at Warri Refining and Petrochemical Company (WRPC) had prepared her for that role. A constant face adorning several corporate social responsibility projects of the company, Mrs. Okoigun successfully led the planning and execution of the ARCO NEST AWARDS project in London in the year 2001 as part of events marking the 20th Anniversary of ARCO. The awards, which drew the attention of the local and international communities, brought into limelight, selected Nigerians that had excelled in their chosen fields of human endeavour. Visionary, resourceful and a source of inspiration, Mrs. Okoigun remains a sprightly director that always sees the bigger picture.Her insights will continue to invigorate discussions in the ARCO Boardroom.